The end of Great Britain: Why David Cameron’s Conservative victory could change the country forever. 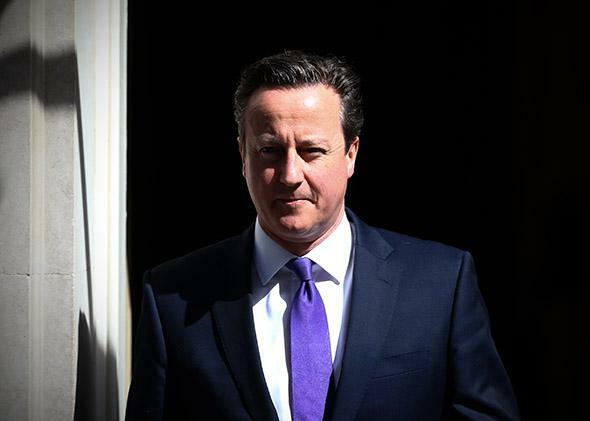 Why David Cameron’s Conservative victory may be the country’s swan song. Prime Minister David Cameron leaves Downing Street on May 11, 2015, in London. —This election will be remembered as the one that rescued the career of David Cameron, the British prime minister, who was publicly contemplating his own exit from politics only two months ago. It will also be remembered as the election that abruptly ended the career of the Labor Party leader, Ed Miliband, who had confidently carved his electoral promises onto a large piece of limestone only last week. Above all, it will be remembered as the election that every single major pollster got wrong: All the dire talk of hung parliaments, minority coalitions, and the intervention of the queen has vanished with the emergence of a solid Conservative majority. But long after these various dramas are forgotten, it might also be remembered as the election that marked the beginning of the end of Great Britain, at least in the form that we now know it. I don’t think he was alone. Suddenly, a vision of a different future has opened up, especially for a certain kind of English Tory: Without dour, difficult, left-wing Scotland, maybe they could rule the rest of what used to be Great Britain, indefinitely. For American readers who find the significance of this hard to understand: Imagine that a Texan secessionist party had, after years of campaigning, just taken every Texan seat in Congress. And now imagine that quite a few people in the rest of the country—perhaps in the Democratic Party—had, after years of arguing back, finally begun to think that Texan secession really might not be so bad and were beginning to calculate the electoral advantages accordingly. This election may also be the beginning of the end of Great Britain as we know it in another sense, too. In 2013, Cameron promised that he would, if re-elected, hold a referendum on Britain’s membership in the European Union. He also promised, somewhat more vaguely, that he would first “renegotiate” that membership. Even today nobody knows what that means, for Cameron has never explained it. Nor has he ever sought European allies or partners to help him in that process, and this isn’t the best moment to begin. The rest of Europe’s leaders are involved in a complex financial negotiation with Greece, are forging a strategy toward Russia, are facing an enormous illegal migration crisis on its southern coasts—and aren’t collectively enthusiastic about launching into a long, painful negotiation with Britain. But whatever the rest of Europe wants, this issue is now of necessity at the center of Britain’s foreign policy. In practice, that means British diplomats aren’t going to have time to worry about Russia or Libya in the next few years, because they’ll be focused on EU treaties. At EU summits, the British will want to talk about Britain’s role in Europe, not Europe’s role in the world, or Europe’s crises on its southern and eastern borders. The outward-looking, fully engaged Britain that “punched above its weight” has already faded away, and not everybody in London is very sorry about this turn of events either. Cameron has been less interested in foreign policy than any British prime minister in recent memory, his party has just run the most insular election campaign that anybody can recall, and he has just been rewarded with a resounding victory for doing so. The voters have spoken, and to English Tories, the message has come through loud and clear: Without Scotland, without the outside world, they do just fine. They’ll always have London, with one of the world’s most lucrative financial sectors; they’ll always have England, with some of the world’s greenest countryside; and they’ll always have the memory of a grander history—and maybe that’s enough.